There is overwhelming support among not-for-profit aged care providers for the establishment of an independent Aged Care Quality and Safety Commission, a new survey shows. 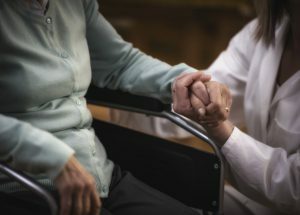 Aged care provider peak bodies say more evidence and consideration is needed before the laws around mandatory reporting of assaults in aged care are expanded, following the Australian Law Reform Commission’s proposals for a new regime. The use of restraint in aged care and the lack of regulation around it is among the issues the Australian Law Reform Commission is exploring in its elder abuse inquiry, an issues paper released today shows. The standards covering community aged care should require that all care workers undertake elder abuse training, while all certificate level aged care courses should include a mandatory unit on responding to abuse, Victoria’s Royal Commission into Family Violence has concluded.